The 13th Annual Michael T. Thorsnes International Commercial Arbitration Competition will be held February 1 - 3, 2019 at the University of San Diego. Please join us in sunny San Diego for a weekend of arbitration. Not only will teams have the opportunity to hone their skills for competition in Hong Kong and Vienna, but there are prizes awarded to the overall best team and oralist. 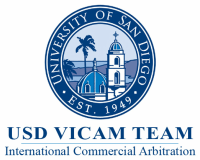 USD VICAM is proud to announce that the North American Branch of CIArb is sponsoring the Final Round Awards of the 13th Annual Michael T. Thorsnes International Commercial Arbitration Competition. Thanks to this generous sponsorship, the first place team will receive an award of $400, and the second place team will receive an award of $300. USD VICAM thanks the North American Branch of CIArb for its generous sponsorship and for providing this exciting opportunity to our competitors. The Chartered Institute of Arbitrators (CIArb) is a not-for-profit, United Kingdom registered charity working in the public interest through an international network of branches. It has a global membership of approximately 16,000 individuals in 133 countries that have professional training in private dispute resolution. 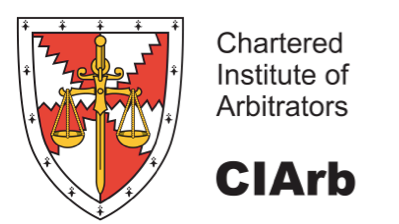 The purpose of the Chartered Institute of Arbitrators is the global promotion, facilitation and development of all forms of private dispute resolution to maximize the contribution that dispute resolution practitioners make. The Chartered Institute’s North American Branch (NAB) represents the Institute in the United States (with the exception of the New York, New Jersey and Connecticut areas), Mexico and the Cayman Islands. The NAB is active in encouraging and promoting the use of ADR as an alternative to the traditional methods for resolving disputes. The NAB hosts and sponsors conferences, training programs, networking and development opportunities across its geographic territory, allowing members and participants to develop dispute resolution skills and network effectively in this competitive market. We look forward to seeing you in San Diego in February! ​The Michael Thorsnes International Arbitration Competition is a pre-moot competition open to all teams seeking to participate in the Willem C. Vis International Commercial Arbitration Moot competitions in Vienna and Hong Kong. We offer participants a chance to hone their skills against teams from all over the globe. All teams will argue four rounds, with the top teams continuing on to the finals. Each team may argue either as Claimant or Respondent.